Eating in early Victoria was a different proposition for the Aborigines than for early Europeans. The Aborigines lived off the land. The women, in the main, collected vegetable foods and small animals, whilst the men hunted large game. (Koorie plants, Koorie people, p. 3) Their vast experience living on the land saw them develop an intricate knowledge of food. Kangaroos, wallabies and emus were numerous, the latter particularly on the open plains. 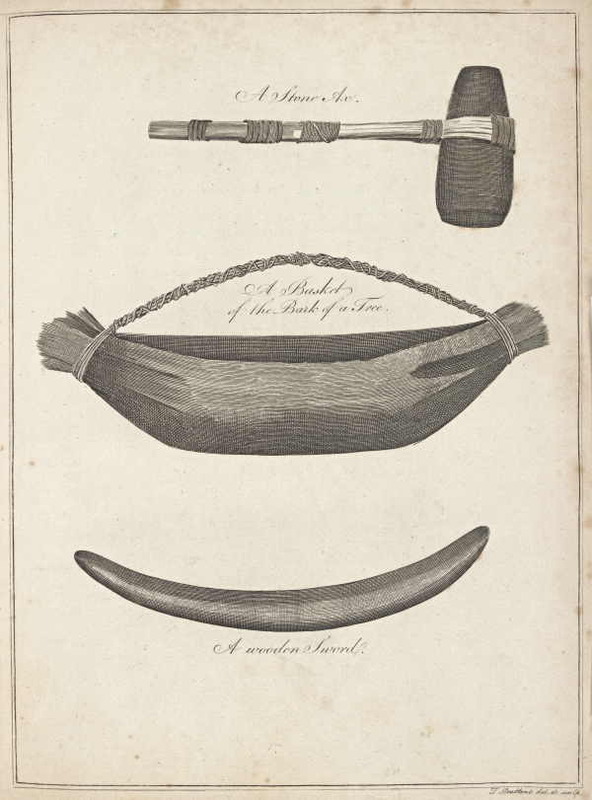 (Aboriginal Melbourne, p. 36) The skillful hunting techniques of the Aboriginies, incorporating camouflage and shrewd craftsmanship, enabled them to build traps, spears and baskets. Kangaroo- Usually mild, inoffensive animals, they are sometimes stirred up to wrath when brought to bay by dogs; and there are two instances on record, in the Bothwell, of “boomers” (forester kangaroos) having seized men in their arms, and carried them for some distance, and then flung them violently down. 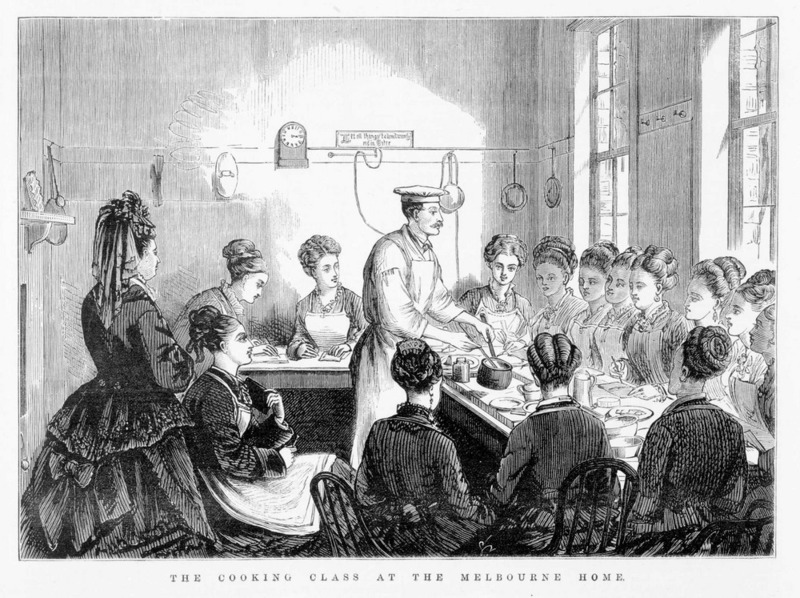 More Victorian culinary information can be found in the research guide Food in Victoria. The Library also holds other food related resources including community cookbooks, pictures and pamphlets. Very interesting blog post. I think that the food history of Australia is woefully neglected in this country. The exhibit that the library held in 2012? was excellent and showed just how deep this history goes. Hopefully more people are encouraged to learn about Australia’s food history going forward. Keep up the great work. Thanks for your comment. Yes the exhibition was called ‘Gusto’ and had some great stories and images.